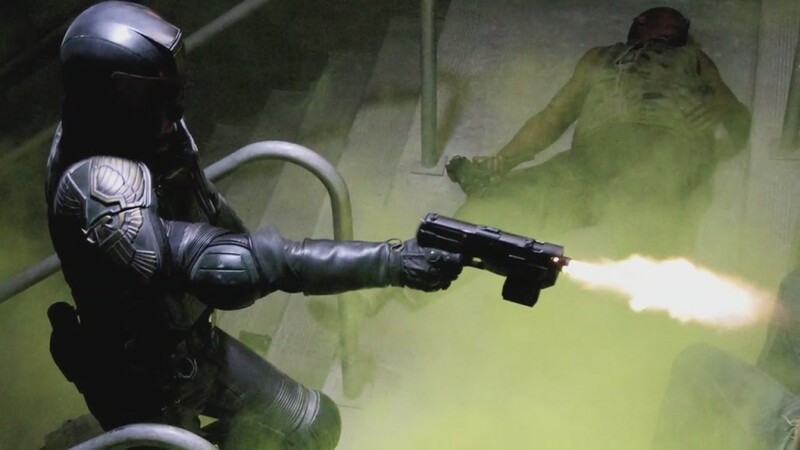 A little treat heading into the weekend as this week 4 new stills have just been released from the new Judge Dredd reboot simply titled Dredd, and it displays some of the violence and action that audiences should be expecting from the series. Front and center is star Karl Urban who seems to be fitting into his costume and helmet well and even co-star Olivia Thirlby (The Darkest Hour, No Strings Attached) is shown to be getting in on the action. Dredd also stars genre fave Lena Heady (Game of Thrones, Terminator: The Sarah Connor Chronicles) in a script written by Alex Garland (Never Let Me Go, 28 Days Later) and directed by Pete Travis (Vantage Point). Reliance Entertainment/Reliance BIG Pictures and Danny Boyle’s DNA Films studios are behind Dredd set for release on September 21, 2012 in theaters in digital and 3D. Peruse the rest of the images and short synopsis after the jump.